Japan maps and guides from Omnimap, a leading international map store with 275,000 map titles. Japan Road and City Street Atlases. Japan & Tokyo Rail Maps. Hiking Maps for Mt. 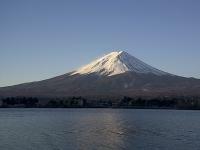 Fuji and other popular spots in Japan. Japan Road Atlas. 1:850,000. ITMB. The maps show highways, major and secondary roads, ferry routes, airports, shinkansen, privatised and Japanese railway lines, etc. Symbols denote points of interest such as national parks, temples, resorts, and cultural and physical heritage sights. Topography is shown with elevation tinting and with selected spot heights. Administrative and international boundaries are shown. The rest of the atlas includes regional and city mapping at varying scales, including: Tokyo, Kyoto, Nara, Osaka, and Kobe. The city maps show expressways, major, secondary, and minor roads, as well as rail lines and stops for multiple rail networks, such as subways, shinkansen, trams, monorail etc. City maps also include district names and zones highlighted in light grey. Subway maps are also included for each city enlarged in the atlas. All-Japan Road Atlas. 1:200,000 & 1:300,000 (Hokkaido). Shobunsha. A detailed road atlas of Japan; 8.25 x 11.75 inches, paperback, 362 pages. The map shows contour lines, distances between major intersections and symbols for everything from stoplights to ski lifts, golf courses, tourist sites and services, and much more. With a 3-minute latitude/longitude grid. Tokyo Master Street Atlas. 1:10,000. Shobunsha. A detailed street atlas of Tokyo; 8.25 x 11.75 inches, paperback, 490 pages. The map shows contour lines only in the non-populated areas on the edges of Tokyo. The maps show building and block numbers and use symbols for everything from stoplights to movie theatres, and to popular chain stores such as Circle-K and 7-11. With a 30-second latitude/longitude grid. Japan Travel Map. 1:1,100,000. ITMB. Printed on waterproof paper. The map shows roads, parks, accommodations, attractions/points of interest, temples, elevation, and hydrography. This is the largest-scale of the various road maps of Japsan. $12.95 64-85918 1 sheet, folded. Japan Travel Map. 1:1,300,000. Freytag & Berndt. Road detail concentrates mostly on motorways and main roads and indicates intermediate driving distances. Railways and ferry routes are shown, and symbols depict ports, airports, volcanos, mountain peak heights, spas, beaches, tourist sights, wintersport locations and temples. National parks are indicated, also Sub-Prefecture, Prefecture and District boundaries. An inset map shows major air connections throughout the country, and on the reverse is a table of administrative divisions and the index, which includes geographical features as well as settlements. Map size is 27 x 39" (68 x 99 cm). Japan North and Hokkaido Travel Map. 1:800,000. ITMB. A hypsometric physical map of the northern Japanese island of Hokkaido. Fully indexed, with tourist information and sites. A good tourist map, although not as detailed as we would like. In English. Japan South Travel Map. 1:670,000. ITMB. Japan divides nicely into north of Tokyo and south. This map covers the popular Tokyo to Osaka Route, and west to Hiroshima and south all the way to Kagoshima, the end of the Shinkansen rail network. Japan is seen as being a smallish country, but is densely populated, so having a map at this scale allows is to open up the information and show its many attractions more easily. The map also includes insets of the most southerly island chains of Okinawa, Senkaku and Sakishima, as wall as city insets of Kyoto, Nara and Osaka. $12.95 64-85922 1 sheet, folded. National Road Map of Japan. Shobunsha, 2014. The map is a simple, slightly stylized, road map that shows all of the national roads of Japan, with route numbers. The map expands to a long strip map of approx. 1 x 10 ft. The map uses mountain symbols to show mountain ranges, etc. Hundreds of little images highlight tourist sites throughout the country, including hot springs, volcanoes, historic villages, and much more. Hundreds of symbols locate tourist facilities, each with a telephone number. Also includes a booklet with additional information about the tourist facilities marked on the map. In Japanese only. $12.99 64-85909 1 sheet, folded. National Rail Map of Japan. Shobunsha, 2011/2014. Comprehensive map,in Japanese, of the various JR (JapanRail) railway lines in the country. This map expands to a long map of approx. 1 x 10 ft. On the back of the map are detailed maps of the various major cities with their bus / train / metro and boat networks. Also includes a booklet with information about local transportation and various practical tourist information. In Japanese only. Although in Japanese only, the map's cartography is clear and easy to read. $12.99 64-8588 1 sheet, folded. Rail Map of Tokyo. Shobunsha, 2011/2014. Comprehensive Japanese map of the various railway lines of JR in the country. This card in this guide is to expand to a long map of more than 3 meters long. On the back of the card are detailed maps of the various major cities with their bus / train / metro and boat network. Also includes a booklet with information about the various models trains, local transportation and various practical tourist information. In Japanese! $12.99 64-8594TS 1 sheet, folded. Listed below are English-language or bilingual city plans for Tokyo, Kyoto, Nara, and Osaka. Kyoto and Japan South Map. 1:12,500 / 1:1,100,000. ITMB. This map has a map showing the central district of Kyoto at 1:12,500 on one side and a map showing the southern area of Japan at 1:1,100,000 on the reverse. On the Kyoto map, metro stations are shown with names and locations of their entrances. Railway stations indicate the train type - Shinkanses, Japan Rail or private. Also shown is the tramline from the Shijo-Omiya terminal. The main routes are highlighted for drivers and one way streets are marked. Symbols denote places of interest including Shinto shrines, Buddhist Temples, museums, leisure facilities, selected hotels, shopping centers, etc. The index lists only selected main streets plus districts and zones. There is also a list of temples and shrines. Inset maps include a diagram of the metro network, a map of the city's environs showing access to Nara and Osaka, plus a street plan of central Nara, similar to the Kyoto map. The regional map of southern Japan has coverage starting well north of Tokyo. The southern islands, including Okinawa, are shown in several inset maps. The map shows road and rail networks, indicating toll routes and different types of railway lines, and includes ferry connections. Elevation is shown by relief shading. The map is indexed and has a 1° latitude and longitude grid. Osaka & Western Japan Travel Map. 1:12,500 & 1:670,000. ITMB. Osaka, as a city, offers one of the world's great treasures - its majestic castle. The city is one of the largest urban areas in Japan and offers a wide range of attractions. The local rapid transit route map is shown on the back cover. The regional map, at an easy-to-use 670,000 scale covers the main island of the country from just west of Tokyo through Nagoya and Kyoto to Matsue in the north and Matsuyama in the south. To further assist users, a small inset map of the greater Tokyo area from Narita airport to central Tokyo has been included. The rail network is well-shown, with the famous Shinkansen lines differentiated. $10.95 64-8594OK 1 sheet, folded. Tokyo Laminated City Map. 1:17,000. Borch. Laminated city-center/tourist map. The main map covers Tokyo at 1:17 000, while inset maps on the reverse cover Tokyo Bay & Shinagawa at 1:19 000, Greater Tokyo at 1:1,300,000, the Tokyo Subway Route Map, Japan administrative and time zones, and Top 30 Sights. Tokyo and Central Japan Map. 1:15,000 / 1:800,000. ITMB. This map has a map of the central district of Tokyo at 1:15,000 and a map on the reverse showing the central area of Japan at 1:800,000. The Tokyo map is a street map showing the division of districts into zones and blocks. Metro and other public transport stations are marked, and line numbers are noted. Extensive range of symbols highlight facilities, places of interest and institutions, including selected hotels, department stores and shopping centers, embassies, religious temples and shrines, water taxi stops, and much more. Tokyo generally does not use street names, so the street index is very short. There is an index of metro stations, district names, and a metro map. The regional road map covers central Japan (central Honshu) including Osaka, Kyoto, and Tokyo. showing road connections and railway lines and administrative boundaries with names of districts. Elevation is shown by color tinting plus spot heights. National parks and protected areas are highlighted, including Mount Fuji, and various shrines and other places of interest marked by symbols. The map is indexed and has a 1° latitude and longitude grid. Japanese-language city plans for over 500 Japanese cities - click here. Sample of the Nagasaki city map. We now stock city maps of over 500 Japanese Cities. These maps, produced by Shobunsha, are in Japanese only. A few maps covering the larger cities and/or tourist destinations, such as Nagasaki and Hiroshima, have some English on the maps. Mt. Fuji Benchmark Paperweight. 3776 meters. Geo-Situ. If you have not climbed Mt. Fuji to watch the sun rise, then you've got the perfect excuse to go to Japan. Once you come back, this benchmark paperweight is the ideal reminder of what you accomplished! Mt. Fuji has Japan’s official designation as “A Special Place of Scenic Beauty.” In 2013 it was added to UNESCO’S World Heritage List. Mt. Fuji Hiking Map. 1:50,000. Shobunsha. If you have not climbed Mt. Fuji to watch the sun rise, then you've got the perfect excuse to go to Japan. This is a detailed hiking and topographic map of Mt. Fuji is all the map that you need for the climb. The front side of the map is the main map at 1:50,000, showing the road access to the mountain, the hiking trails and the hiking time needed both up and down the mountain, and numerous symbols showing tourist services, etc. The reverse side has a 1:25,000 map of the mountain showing the closest auto access and the main hiking trails. Three inset maps ranging from 1:50,000 to 1:300,000 show other parts of the region. Although the map is in Japanese, the main trails and access towns are labeled in English on both the 1:50,000 and 1:25,000 maps thus this map is perfectly usable for an English-speaking tourist. Japan Hiking Map Series. 1:50,000. Shobunsha. Detailed topographic maps of the most popular hiking areas in Japan. There is a main area map at 1:50,000 on one side of the map. The reverse side usually has a regional map at a smaller scale such as 1:200,000 plus detailed maps of the individual mountain peaks at scales of 1:25,000 or so. The maps show typical hiking times along each trail. Unfortunately these maps are in Japanese only. We supply an English translation of the map legend. All maps in the series were updated in 2013 or more recently. Sample detail from the Mt. Fuji map. Sample detail from the Central Japanese Alps map. $13.99 64-8575-01 #1 - Rishiri-Akan-Shari Rausu hiking map. $13.99 64-8575-02 #2 - Yotei Shokanbetsudake hiking map. Niseko Mountains. $13.99 64-8575-03 #3 - Tokachidake, Taisetsu Tama Raushi, Poroshiridake hiking map. $13.99 64-8575-04 #4 - Towada-Shiragamidake Iwaki hiking map. Hakkoda Mountains. $13.99 64-8575-05 #5 - Hachimantai Mountains hiking map. $13.99 64-8575-06 #6 - Kurikoma Ikemine hiking map. 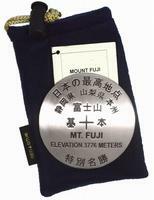 $13.99 64-8575-07 #7 - Omoshiroyama Funagatayama Zao hiking map. $13.99 64-8575-08 #8 - Gassan-Chokai hiking map. $13.99 64-8575-09 #9 - Asahi and Mt. Maayama hiking map. $13.99 64-8575-10 #10 - Idesan hiking map. $13.99 64-8575-11 #11 - Adatara Bandai hiking map. Azuma mountain range. $13.99 64-8575-12 #12 - Nasu-Shiobara hiking map. $13.99 64-8575-13 #13 - Mt. Shirane hiking map. $13.99 64-8575-14 #14 - Hiuchigatake & Shibutsusan hiking map. $13.99 64-8575-15 #15 - Echigo-Hiragadake Makihatayama Sanzan hiking map. $13.99 64-8575-16 #16 - Naebasan & Hotakayama & Tanigawadake hiking map. $13.99 64-8575-17 #17 - Mt. Shirane & Mt. Azumayasan hiking map. $13.99 64-8575-18 #18 - Myoko and Togaku hiking map. $13.99 64-8575-19 #19 - Karuizawa & Mt. Asama hiking map. $13.99 64-8575-20 #20 - Mt. Tsukuba & Mt. Akagi hiking map. $13.99 64-8575-21 #21 - Mt. Arafuneyama & Mt. Myogisan hiking map. $13.99 64-8575-22 #22 - Musashi Chichibu hiking map. $13.99 64-8575-23 #23 - Okutama Okuchichibu hiking map. $13.99 64-8575-24 #24 - Okutama hiking map. $13.99 64-8575-26 #26 - Mt. Kumotoriyama area hiking map. $13.99 64-8575-27 #27 - Mt. Kinpozan area hiking map. $13.99 64-8575-28 #28 - Mt. Takao area hiking map. $13.99 64-8575-29 #29 - Tanzawa Mountains area hiking map. $13.99 64-8575-30 #30 - Mt. Kintoki hiking map. Hakone Mountains area. $13.99 64-8575-31 #31 - Mt. Amagi-san area hiking map. Izu Peninsula area. 1:80,000. $13.99 64-8575-32 #32 - Mt. Fuji hiking map. Misaka Mountains. $13.99 64-8575-33 #33 - Mt. Tateshina, Yatsugatake National Park hiking map. Also covers Mt. Utsukushigahara. $13.99 64-8575-34 #34 - The Japanese Alps hiking map. 1:150,000 & 1:200,000. $13.99 64-8575-35 #35 - Mt. Shirouma-dake hiking map. $13.99 64-8575-36 #36 - Mt. Kashimayari hiking map. Also covers Mt. Goryu. $13.99 64-8575-37 #37 - Mt. Tateyama hiking map. $13.99 64-8575-38 #38 - Mt. Yarigatake & Mt. Hotakadake hiking map. Kamikochi mountain range. $13.99 64-8575-39 #39 - Mt. Norikura hiking map. Hida Mountains. $13.99 64-8575-40 #40 - Mt. Ontake hiking map. Also Mt. Kohideyama. $13.99 64-8575-41 #41 - Mt. Utsugidake & Central Japanese Alps hiking map. $13.99 64-8575-42 #42 - Mt. Kita-dake hiking map. Mt. Kita-dake is the second highest mountain in Japan (after Mt. Fuji). $13.99 64-8575-43 #43 - Mt. Shiomi & Mt. Akaishi hiking map. $13.99 64-8575-44 #44 - Mt. Arashimadake hiking map. Hakusan Mountains. $13.99 64-8575-45 #45 - Mt. Ibuki, Mt. Ryozen, Mt. Gozaisho hiking map. $13.99 64-8575-46 #46 - Mt. Bunagadake hiking map. Hira region. 1:30,000. $13.99 64-8575-47 #47 - Kitayama Mountains hiking map. Popular area just outside Kyoto. $13.99 64-8575-48 #48 - Hokusetsu area hiking map. $13.99 64-8575-49 #49 - Mt. Maya & Mt. Rokko hiking map. 1:25,000. $13.99 64-8575-50 #50 - Mt. Kongo hiking map. The main peak of the Kongo-Katsuragi mountain range. $13.99 64-8575-51 #51 - Mt. Omine, Mt. Hachigyogatake, and Mt. Shakagatake hiking map. Includes Yoshino-Kumano National Park on the Kii Peninsula. $13.99 64-8575-52 #52 - Mt. Takami hiking map. $13.99 64-8575-53 #53 - Mt. Hyonosen & Mt. Hachibuse hiking map. $13.99 64-8575-54 #54 - Daisen-Hiruzen Plateau hiking map. Includes coverage of Daisen-Oki National Park. $13.99 64-8575-55 #55 - Mt. Ishizuchi & Mt. Tsurugi hiking map. A popular area on Shikoku. $13.99 64-8575-56 #56 - Northern Kyushu hiking map. Covers several areas in northern Kyushu. 1:25,000 & 1:50,000. $13.99 64-8575-57 #57 - Mt. Aso hiking map. Includes Aso-Kuju National Park on Kyushu. $13.99 64-8575-58 #58 - Mt. Okueyama hiking map. Northern Kyushu. $13.99 64-8575-59 #59 - Mt. Kaimondake hiking map. Spectacular active volcanos in southern Kyushu. $13.99 64-8575-60 #60 - Mt. Miyanouradake & Yakushima Island hiking map. Japan Topographic Map Series Index Map. Japan 1:25,000 - 1:200,000 index map. NOTE: 7 meg file. This index map is a very large (2 x 3 foot) index showing a combined 1:25,000 through 1:200,000 index map on a single sheet. Japan Topographic Quadrangle Maps. 1:25,000. Geographical Survey Institute. Complete coverage is available in 4,455 sheets. In Japanese. Iwo Jima 1:25,000 Topographic Map. 1:25,000. Geographical Survey Institute. In Japanese. Okinawa 1:25,000 Topographic Maps. 1:25,000. Geographical Survey Institute. In Japanese. Complete coverage of the island in 32 sheets. Okinawa 1:50,000 Topographic Maps. 1:50,000. Geographical Survey Institute. Complete coverage of the Okinawa in 13 sheets; not as detailed as 64-8549-2 above. In Japanese. Japan Topographic Quadrangle Maps. 1:50,000. Geographical Survey Institute. Complete coverage is available in 1,249 sheets. In Japanese. Japan Topographic Quadrangle Maps. 1:200,000. Geographical Survey Institute. This set of 130 sheets offers complete coverage of Japan. In Japanese. Sheet size is 80 x 109 cm. *English translation of the legends included. Japan Topographic Quadrangle Maps. 1:500,000. Geographical Survey Institute. Eight sheets offer complete coverage. Elevations are in English with place names in Japanese. Sheet size is 80 x 109 cm.